Oklahoma Supreme Court Justice Patrick Wyrick is one step closer to becoming a federal judge. 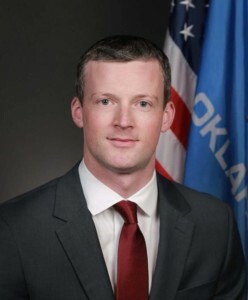 The U.S. Senate Judiciary Committee has approved Wyrick’s nomination to the federal bench in the Western District of Oklahoma. The full U.S. Senate will now schedule a vote on his nomination. Wyrick has also been placed on a list of potential U.S. Supreme Court candidates should President Trump need to fill a vacancy. Wyrick was an associate attorney with GableGotwals in the Oklahoma City office from 2008 to 2011. Following his time with the Firm, he served as Oklahoma’s Solicitor General and since 2017 has been an Oklahoma Supreme Court Justice.